You are here: Home / Podcast / Day Two Cloud 005: Building A Startup In The Cloud Is Easy, Right? 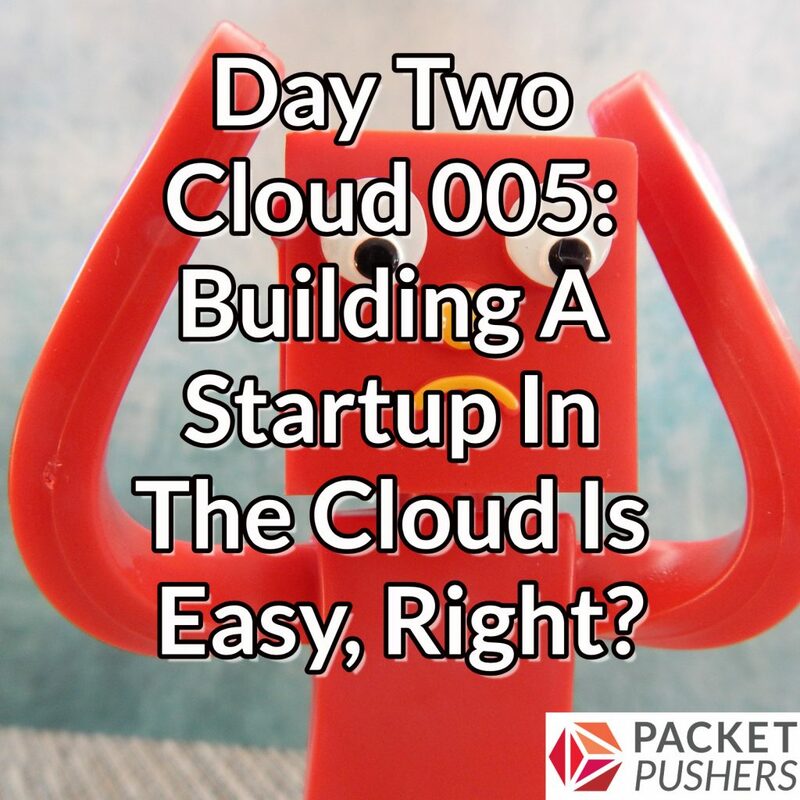 Day Two Cloud 005: Building A Startup In The Cloud Is Easy, Right? Today’s Day Two Cloud episode is all about the perceptions and realities of building a startup in the cloud era. My guest Adam Bertram shares his experiences launching an online learning company called TechSnips. Entrepreneurs can choose a variety of ready-made Web and cloud tools to launch a site and provide backend functions. But as Adam learned, you make tradeoffs when you adopt commodity services instead of doing it yourself, including integration problems and a lack of customization. Adam shares his experiences using cloud services such as Trello, Zapier, and Lambda; discusses why good APIs matter; and talks about how to balance a startup’s immediate need to get things done against long-term technical debt.